Don earned a B.S. in Material Science at Chulalongkon University, Bangkok, Thailand; a B.S. in Electrical Engineering at the University of Oklahoma, Norman, Oklahoma, and a M.S. degree in Bioengineering also at OU. 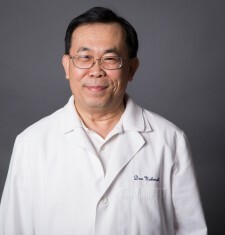 After Joining Hough Ear Institute in 1994 as a medical device engineer, he has played an integral role in designing and development of the HEI’s middle ear implantable hearing device. He now is engaged in auditory physiology studies of animal models in research. He is also involved in middle ear mechanics research at the Biomedical Engineering Lab at the University of Oklahoma.